Hi there!! How are you guys doing? I am OK, but my little one is ill again. It’s just a little fever, so I hope she will be better in a few days. And on to my mani. I have another one for Coachella Festival and this time I did tribal triangles with a dot. And as you can see the pattern is a bit sideways on my middle finger :). 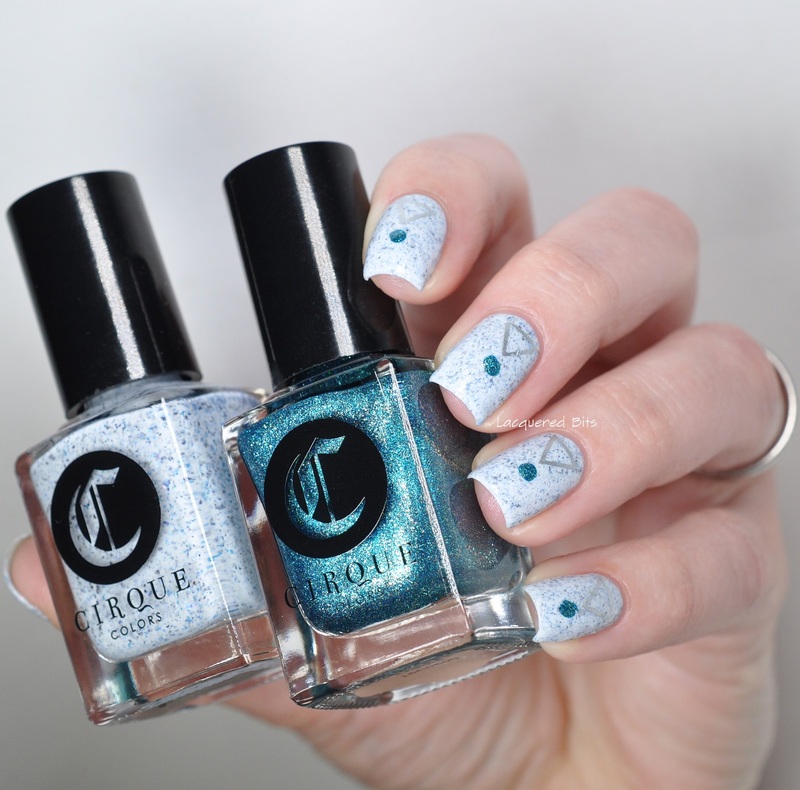 First I applied two coats of Cirque Colors – Acid Wash. 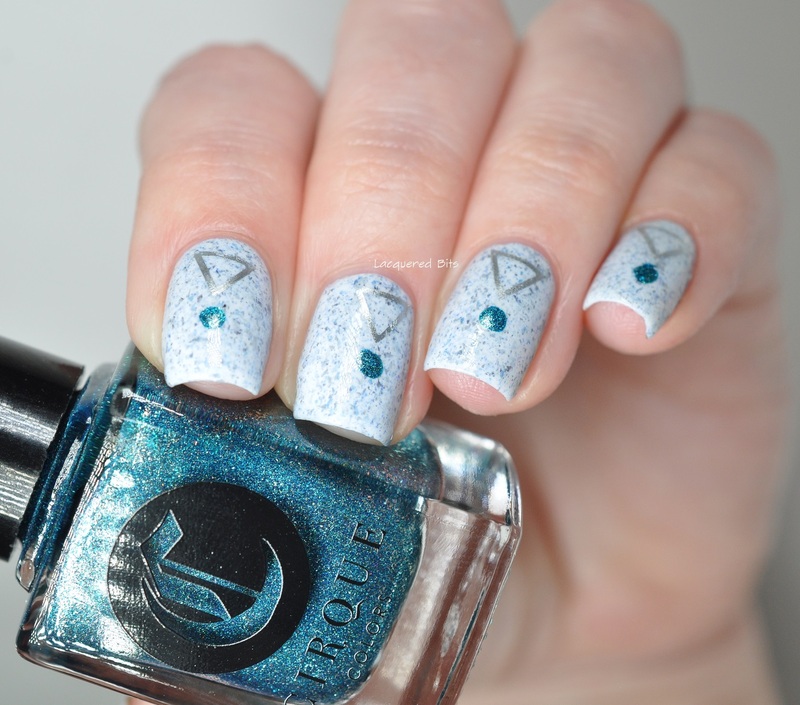 This one is sooo beautiful and you can find a review here. And then I waited for it to get dry. 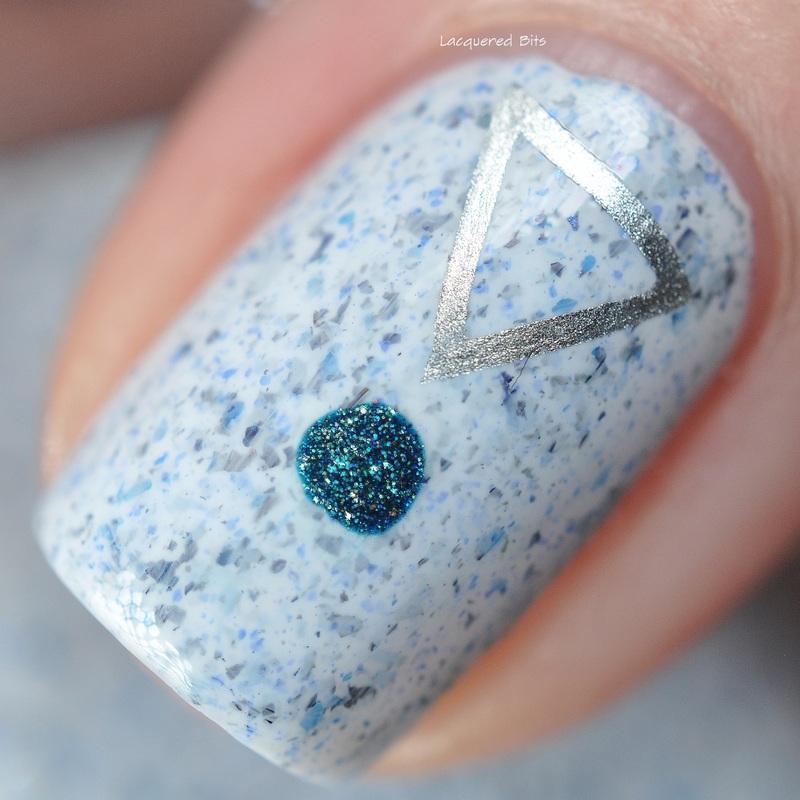 Then I did some stamping with Essie – No Place Like Chrome and MoYou London stamping plate No. 3 from Artist Collection. I just took one triangle from the pattern on the plate. 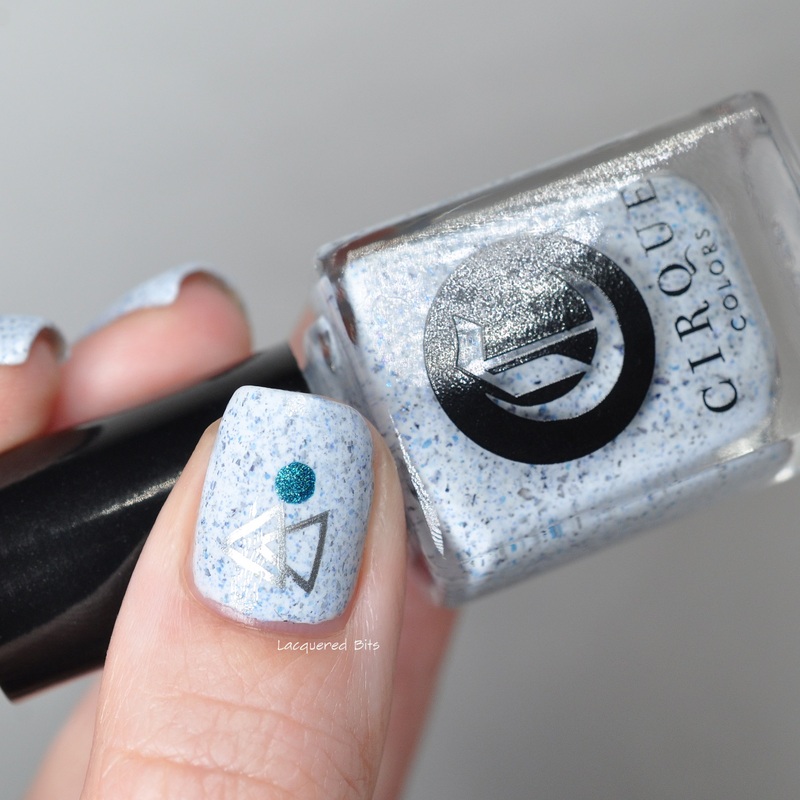 And then I did a dot with Cirque Colors – Oasis to finish my design. 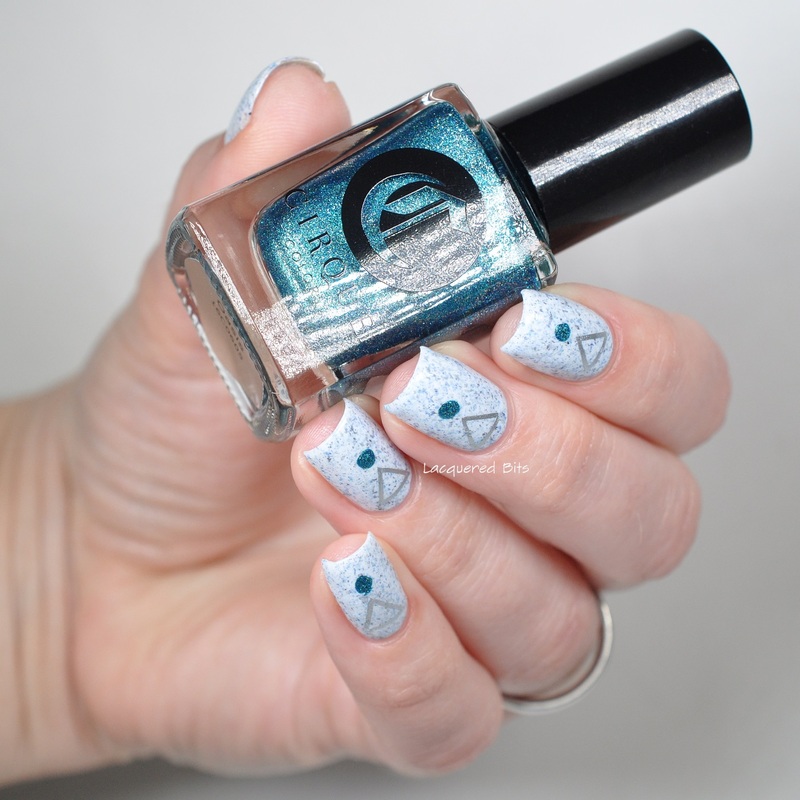 I sealed the mani with Essie – Good To Go. And as you probably noticed I did two triangles on my thumb. Because it’s a bit bigger than the other nails, I decided to do two. So what do you think of this one, is it festival enough?